Check out these summertime patio ideas to make your outdoor space the summer oasis you’ve always wanted. Now that summer is here you really have a chance to enjoy some time outdoors. Whether your grilling, entertaining or relaxing outside with a book, your patio is a great place to be during the summer. Which is why you want to make your patio amazing! Check out these summertime patio ideas to make your outdoor space the summer oasis you’ve always wanted. 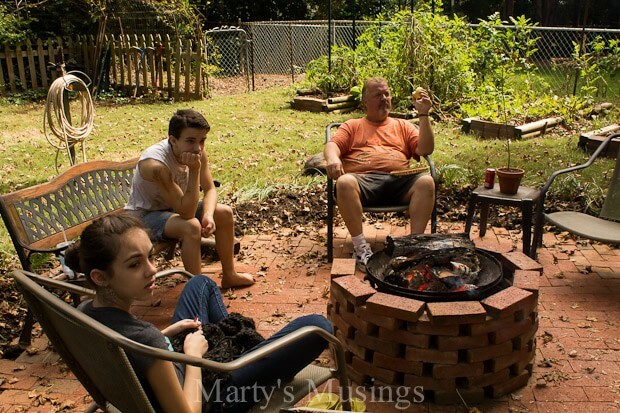 A firepit is a perfect way to make your summer barbecue last long into the evening with friends and family. Or a great place to relax solo on a summer night. And you can even roast marshmallows. Get a little taste of camping without all the work. Check out this DIY firepit how to. It’s a budget-friendly way to make your summer evenings outdoors amazing. Custom spray pots can add just the right touch of color to your summertime patio. 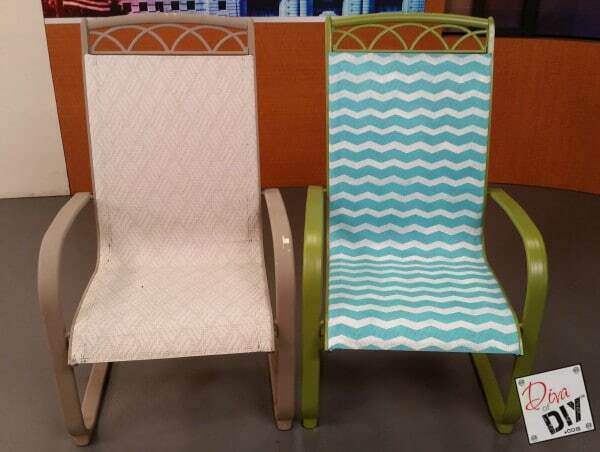 You can paint to match your patio furniture. Or add a splash of color to an otherwise neutral landscape. 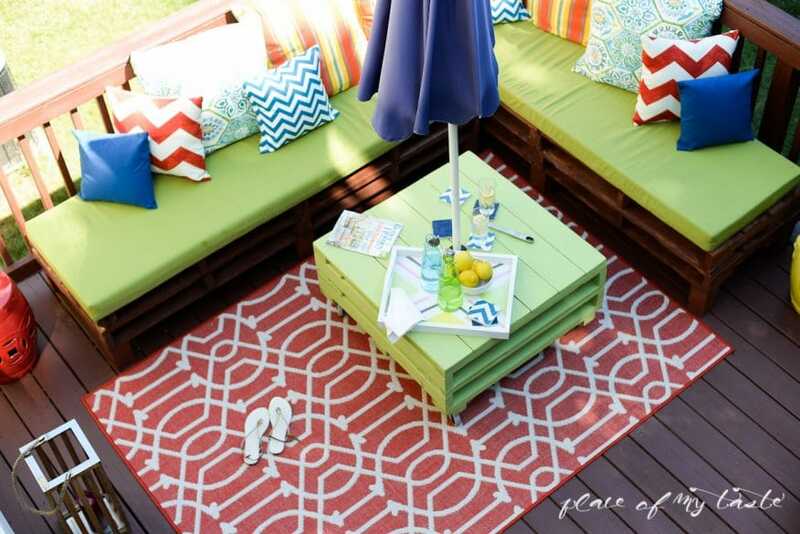 Make your patio pop with color! Some beautiful flowers in the pots will make lovely patio decor. If you’re ready for a more ambitious summertime patio project, consider adding a patio cover. 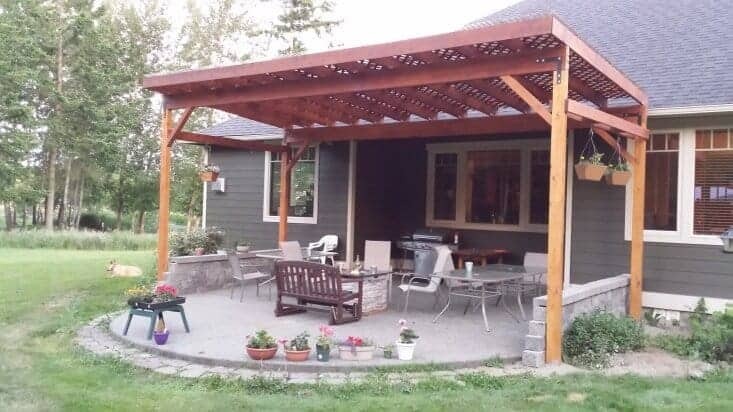 This DIY patio cover is a summer project that could make your patio usable year round. Or close to it. A patio cover can make outdoor space usable in the rain. And provides some much-needed shade on hot summer days. 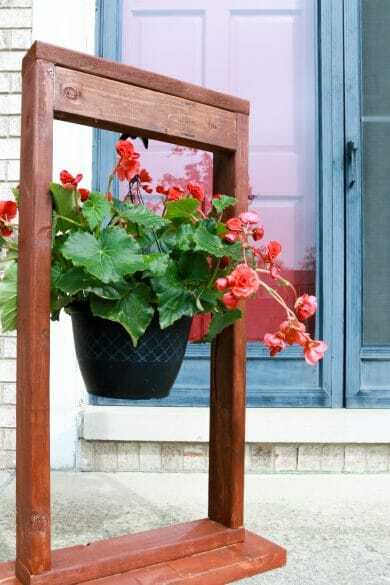 Hanging plant stands are one of my favorite ways to display summer flowers. 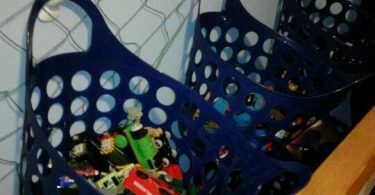 This post will teach you how to make your own. Brighten up your patio with the beauty of summer flowers. 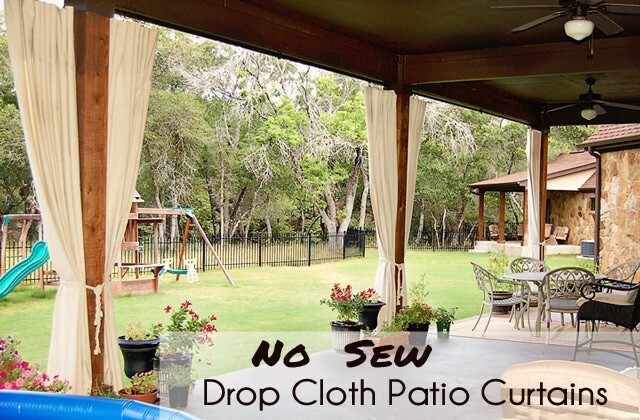 If you have a covered patio but still need some relief from the sun, check out these no-sew DIY patio curtains. They are a great way to add shade to your patio without paying for a big upgrade. And I think they look good. It’s a chic touch to the patio. There are few things more relaxing than the sound of water. A water feature is a truly awesome way to upgrade your patio this summer. 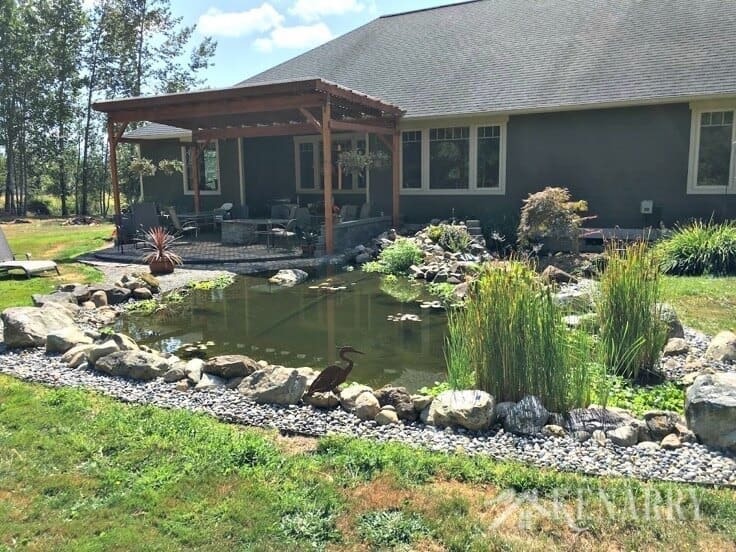 Check out this tutorial for putting in a pond and waterfall. Even if you’re not ready for something as big as a pond, shop around. A large fountain or even a small tabletop size water feature can be a great addition to your patio. You’ll love relaxing to the sound of water as you enjoy your outdoor space. One of the easiest ways to give your patio a new look is to get new patio furniture. But what if there is still plenty of life left in your old set? Give it an update! I’ll admit, I just love how the patio furniture turns out in this post. The transformation is incredible. And the updated furniture is bright and modern. A wonderful way to makeover your summer patio! If you’re someone who prefers to DIY their patio furniture, check out this amazing pallet furniture. The end result is amazing! 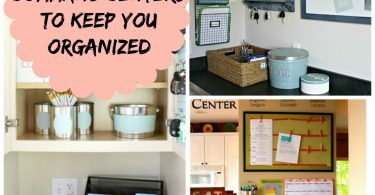 And what a cool summer project for a talented DIYer. I love to see plants on my patio in the summertime. A flowery oasis makes me feel like it’s really summer. 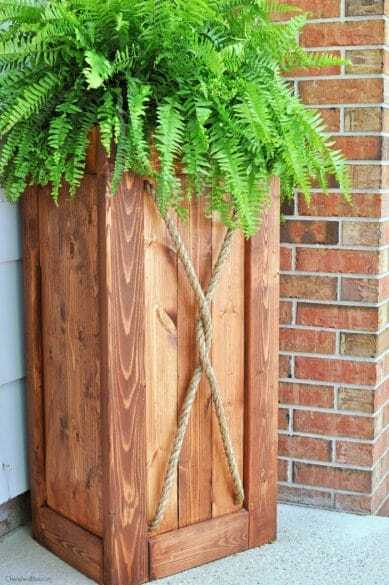 And this DIY planter makes a nice addition to your patio. It fits nicely in a corner with plenty of room for a plant. If your patio is cracked, stained, and looks tired no matter how many updates you try to do, maybe what it needs is a facelift! 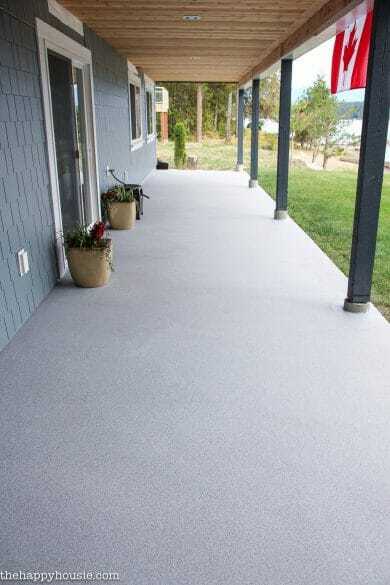 Check out this post for help making your concrete patio look like new again. The transformation is amazing! And it will make every other patio update look that much brighter.